OverviewBased on the Xbox Live Arcade game Roogoo. 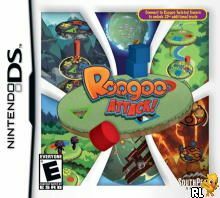 Roogoo Attack! is a puzzle game emphasizing quick reflexes. This DS incarnation includes over 100 levels in 10 unique environments. 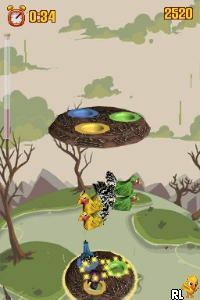 More levels are unlocked by connecting with Roogoo Twisted Towers on the Wii. Single and multi-card multiplayer supports four players. Now you can add videos, screenshots, or other images (cover scans, disc scans, etc.) for Roogoo Attack! (US)(M5)(PYRiDiA) to Emuparadise. Do it now!